January 26th - February 3rd, 2019, Grandaddy Mimm’s will be the official moonshine sponsor of The Country Music Cruise presented by Star Vista Live! Here, GDM will be providing tastings, sponsor the Sail Away Party, participate in interviews, and market the Grandaddy Mimm’s brand. We will be sending representatives to educate sailors on the GDM history and experience. January 26th - February 1st, 2019, Grandaddy Mimm’s will be the official moonshine sponsor of The Outlaw Country Cruise presented by Sixthman Productions! Here, GDM will provide tastings and educate passengers on the GDM history and experience. Our owner, Tommy Townsend, will be jamming on stage throughout the week promoting his new album, “Turn Back the Clock”. Or stream it on Spotify and Pandora! 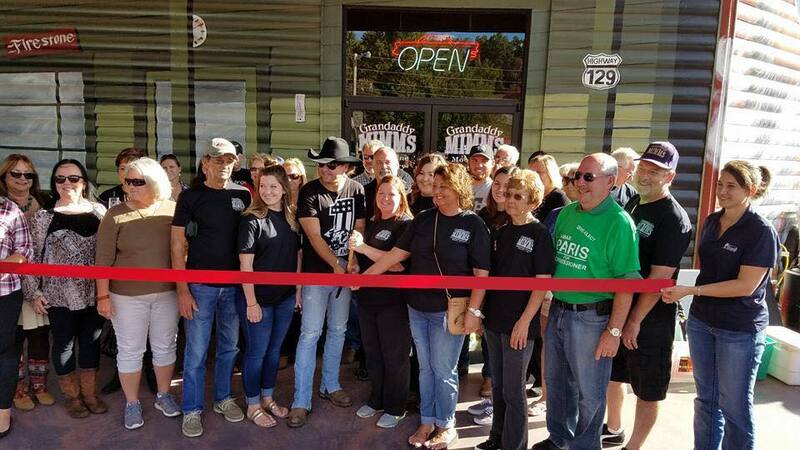 From concerts to moonshine tastings, festivals and fundraisers, Grandaddy Mimm’s is the place to get together for music, family fun, and community! Meet Us at the Bar! and the intricate details of the distillation process. right at the bar. Pick up to five flavors to try straight up! Not sure if moonshine is for you? Wondering what kind of cocktails you can create with a jar of shine? Let us help clear up some common misconceptions about hooch, firewater, and white lightening. Take home a jar from the distillery, or find out where you can purchase Grandaddy Mimm’s near you! Sign Up for Updates on Events, Products, and Moonshine!